The toughest test yet of the season looms on Sunday for the Green Bay Packers' league-best run defense as they face the Dallas Cowboys. 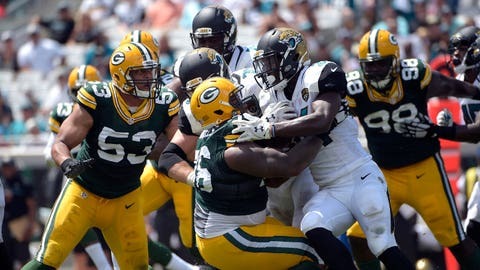 The Green Bay Packers enter Week 6 with the NFL’s best rushing defense, yielding just 2.0 yards per carry and 42.8 yards per game. The defense will be tested, however, by the Dallas Cowboys, who possess the league’s best rushing offense. Dallas (4-1) is averaging and NFL-best 155 rushing yards per game on 4.6 yards per carry, which is fifth-highest in the league. Rookie Ezekiel Elliott leads the team with 546 rushing yards and five rushing touchdowns. Green Bay enters the game having won its past two, including a 23-16 victory over the New York Giants last week, during which Aaron Rodgers threw two touchdowns and two interceptions. The Cowboys have won four straight behind rookie quarterback Dak Prescott, who has thrown for four touchdowns and rushed for another three. "When we get a couple scores up, you’ve seen over the years, that makes us very tough to beat, ’cause teams have to throw it against us," he said. "We’ve done a good job creating turnovers in those situations." Green Bay has won five straight against Dallas and has scored first in four of those meetings. The Packers scored first in 10 of their 18 regular-season and playoff games last year, including a 28-7 win over the Cowboys, posting an 8-2 record in those games. — Dallas has rushed for 199 yards, 194 yards and 180 yards in its past three games, averaging a total of 5.8 yards per rush over the stretch. Elliot has rushed for at least 130 yards in three straight games, including 134 yards and two touchdowns last week as the Cowboys defeated the Bengals 28-14. The Packers, meanwhile, should have their full complement of defensive linemen, presuming Mike Pennel is activated following a four-game suspension. — How much will Eddie Lacy be able to play? The fourth-year running back is averaging a career-best 5.5 yards per carry through four games this season, but he injured an ankle last week against the Giants and has been limited in practice this week. His backup, James Starks, is also on the injury report and has been home in Buffalo this week because of a death in his family. The Packers could turn to receivers Randall Cobb and Ty Montgomery — both of whom have lined up in the backfield previously — or perhaps bring up practice squad running back Don Jackson to help fill the void if neither Lacy nor Starks is available. 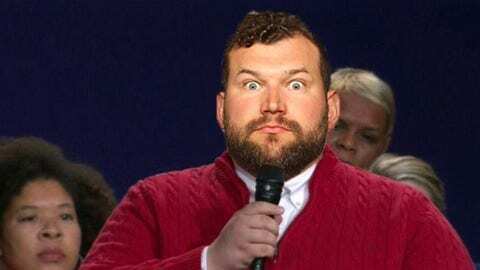 The Packers also have fullback Aaron Ripkowski, who has just two carries in 19 career games. — Prescott has yet to throw an interception. The rookie out of Mississippi State took over the Cowboys’ starting job after veteran Tony Romo suffered a broken bone in his back during the preseason. He has proven to be more than a proficient game manager, completing at least 70 percent of his passes the past four games while throwing for 1,239 yards on the season and accruing a passer rating of 101.5, good for eighth in the NFL. 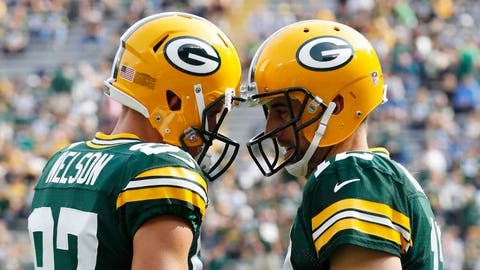 — Green Bay’s offense ranks 25th in the NFL in total yards, though it ranks 11th in the league in points scored (24.5 per game). The Packers ranked in the top 10 in total yards in six of Rodgers’ first seven seasons as quarterback (2008-14) before slipping to 23rd last season. They also ranked 10th or better in scoring all seven of those seasons before falling to 15th last year. The offense has shown signs of returning to its former potency this season, particularly in the first half vs. Detroit, but Rodgers and company have yet to sustain that success for an entire game. The Cowboys could be a tough opponent against whom to find that success, given that they have allowed the eighth-fewest points per game (18.2) this season. Nelson has re-established himself as Rodgers’ go-to target after missing last season, accruing a team-high 40 targets for 21 catches, 244 yards and five touchdowns. Dallas cornerback Claiborne, meanwhile, has yet to give up a touchdown and, according to NFL.com, held Bengals star A.J. Green to three catches for 41 yards last week. The Cowboys have yet to allow a 100-yard receiver this season, which could make for a tough afternoon for the Packers offense.